With ARROW’s Laurel (Katie Cassidy) in trouble, will her friends be able to pull her back from the dark side? 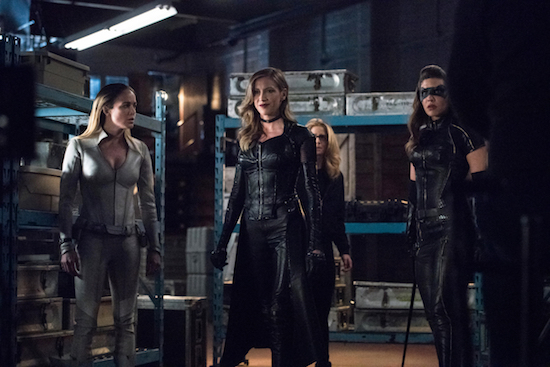 Arrow -- "Lost Canary" -- Image Number: AR718B_BTS_0356r.jpg -- Pictured (L-R): Behind the scenes with Caity Lotz, Katie Cassidy, Emily Bett Rickards and Juliana Harkavy -- Photo: Dean Buscher/The CW -- ÃÂ© 2019 The CW Network, LLC. All Rights Reserved.